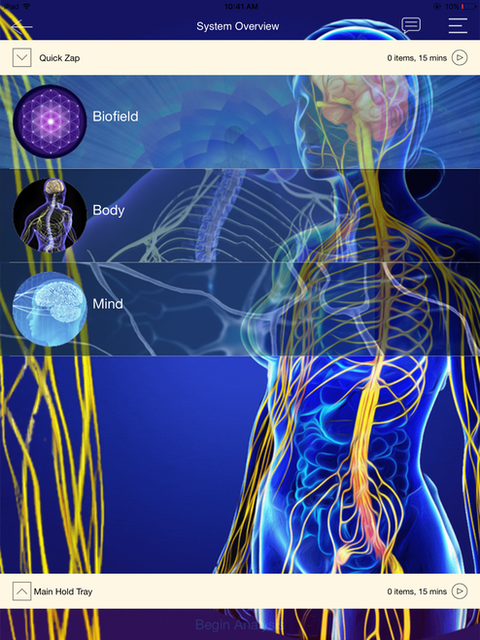 The Genius Insight Biofeedback system is an empowering tool that bridges natural health and energy medicine. It accesses your unique vibrational frequency signature in the quantum field and identifies energetic blockages of stagnation, compression, and inflammation in your energy flow in a wide range of specific areas. The Genius Insight Biofeedback system is a discovery process that can reveal possible root causes of many different issues. Instead of guessing about decisions for supplements, health modalities, or diet strategies, you can see exactly what is happening in your energy field, and make decisions that are in resonance and will have the most impact. In addition to the valuable information the Quantum Biofeedback provides, it then "feeds back" to your energy field energetic frequencies to harmonize, reduce reactivity and stress, and restore optimal energy flow. In doing so, you support your body’s ability to self heal. In addition to these 28 main panels, there are also over 200 libraries for further testing. These help dig deeper into the root of imbalances shown in the 28 panels, directly target a specific issue that is a concern to you, assess the most energetically compatible supplements, remedies, and even lifestyle strategies. The possibilities are endless! With the Genius Insight Quantum Biofeedback we can also create energetic remedies of many kinds. The "Rife" frequencies are also programmed into the Genius Insight Software and can be used with your colonics and other detoxification protocols to enhance your results! Everything exists in energetic potential. 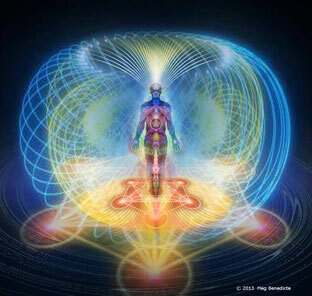 Before anything manifests in the physical, it originates in energy. Quantum Biofeedback is an empowering tool, as regardless of what you are experiencing, you can balance and harmonize your energy field. We now know from energetic research that our words change our DNA, and as such we can also see biofeedback as a focused word or frequency that begins to change the DNA. The biofeedback is pointing out the exact frequency needed to clear or harmonize these disruptions. At its deepest level biofeedback is creating more harmony, reducing the stress that's in your energy field and thus in your body. Biofeedback is a discovery process where you gain more information about yourself, and "peels back the layers of the onion". The feedback of frequencies to your energy field is like "reminding" your energetic body of what it feels like to be in balance. Frequent and consistent imprinting of these frequencies into your field will yield the most positive impact. Implementing the information gained into your lifestyle and food choices will enhance the harmonization process. Recommended if you wish to have time to examine all main 28 panels, and selected libraries. Recommended for first sessions or more complex cases in order to have more time for the discovery process. Frequent imprinting or entraining of specific frequencies selected based on your analysis yields the highest impact and results. Package and Cancellation Policies as outlined for the Colonic Packages applies to all Services. Please scroll towards bottom of this page for full details. For those who have the QUANTA CAPSULE APP the 2 hour and 90 minute sessions include a balance to use between appointments via the APP. Genius Insight Quantum Biofeedback and Sessions are not a medical diagnostic tool. We are always working in the quantum energy field, and are always referring to your energy fields during all sessions and discussions.